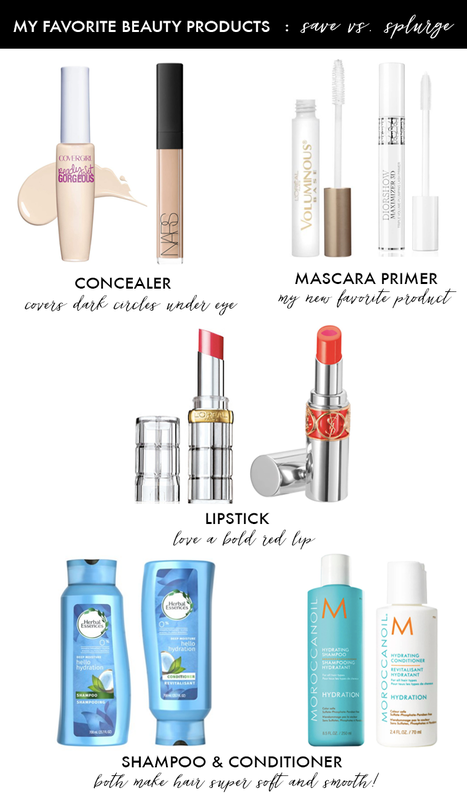 It has been a long time since I shared some of my favorite beauty products. I buy both more expensive and drug store brands - and for the most part - do not always see much of a difference to splurge. This is still my favorite moisturizer - and I buy it at Walmart. My mascara primer has been a wonderful purchase - it adds the extra length - and has made a big difference for me! I have tried both the save and splurge and I like them both, but I will save money on it from now on. This is a fun red tote for $27. This sweater is $16 - and comes in several colors. This cute Kate Spade little bag is 40% off. I like this satin puffer jacket with faux fur trim - and it's really on sale! These coated “faux leather” jeans are 55% off. This sweater/sweatshirt is 40% off. These glossy Hunter boots are 33% off. This gingham maxi dress is on sale for only $16 (regularly $139). These boots were finally marked down 40% off. This puffer jacket is definitely the deal of the day! These are my favorite socks in the winter - and they are on sale. I want to buy this sweater in all four colors. This is the prettiest smoky pink pleated dress. This $25 dress would look cute with tights and boots. I recently created a “Gift Guide” in the top menu bar. You can check out my “Gifts Under $50 HERE. I use that mascara primer (the save version) too and I love it. I had been buying a more expensive version but this one works just as well. Somethings you can definitely save money on while others, like skin care, are worth the extra $$. Going to try the Save version of the mascara primer! I've always wanted to try it, but never knew which one to get. Good to know the save version is just as good! I LOVE that Nars concealer, I was just telling myself (is that weird) how much I love this product this morning while using it, haha! I've always wanted to try eyelash primer, might have to give these a go. And the Moroccan shampoo, love that too, used that last night! :) Great minds think alike!